A dream holiday! 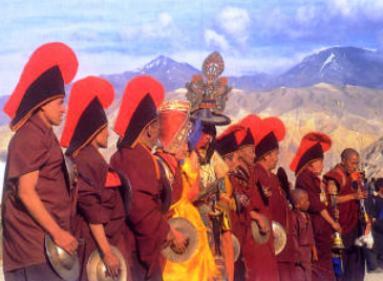 A cultural journey that combines the in-depth tour of Bhutan, The Bhutanese people protected this sacred heritage and unique identity for centuries, by choosing to remain shrouded deep in a jealously guarded isolation. The rich Himalayan flora and fauna, dazzling white peaks, and lush valleys provide Bhutan stunning beauty and aesthetic grandeur. In Nepal Patan and Bhaktapur the cradles of art and culture. Sikkim and Darjeeling a former autonomous kingdom now a northeast state of India, the area has a dramatic landscape that includes India’s highest mountain, 8,586m Kangchenjunga. 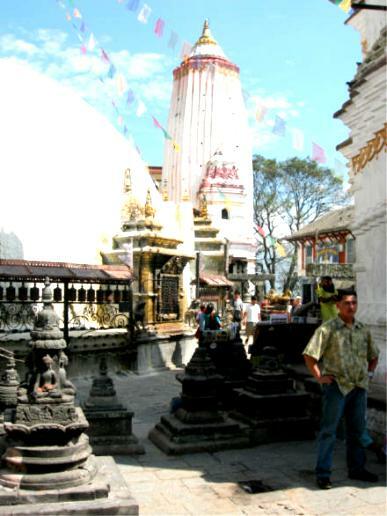 Sikkim is also home to hilltop Buddhist monasteries such as Pemayangtse, which dates to the early 1700s, and the famous Darjeeling Tea Estates. Top off this tour with visit to Taj Mahal, Red Fort, Delhi and pink city of Jaipur. A unique experience for the discriminating traveler! Tonight we'll arrive in Delhi on your way of Bhutan tour, transfer to Hotel Taj Palace/Claridges Hotel. Depart by air to Bagdogra, from here travel by the famous Darjeeling Toy Train/car, a great scenic journey through exhilarating panoramas to Darjeeling, the premier resort of the Raj. Hotel Windemere. Darjeeling's scenic views, tea estates and crisp chilly mornings make it a favorite summer retreat. Sightseeing includes Senchar Lake, Ghoom Monastery, Everest Museum, Geological Park and the Happy Valley Tea Estates. A scenic drive takes us to Gantok, capital of Sikkirn. Sightseeing of this city in the shadow of dazzling Kanchenjunga and the sacred Sinchulo includes a visit to Rhumtek Monastery and Gantok Bazaar. Hotel Norkhil. Today we'll drive to Pontsoling, the border town in Bhutan, transfer to Hotel. 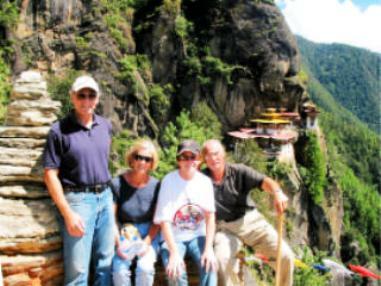 On your way to Thimpu, the capital of Bhutan, built on lands dominated by the 400 yr. old Tashicko Dzong, we shall visit the Taktsang Monastery also known as Tiger's Nest at 9,000 ft. at the edge of a precipice and can be reached by horse. Hotel Motithang. handicrafts center & memorial chorten, followed by a drive to Simtokha Dzong, containing 400 yr. old exquisite temples with intricate art work. The route is through densely forested Sinchula Pass. Rhododendrons, orchids, spectacular waterfalls and mountain peaks rise higher and higher fill we reach Paro where oak, and rice paddies replace tropical vegetation. Hotel Olatlang. Today fly to Katmandu, capital of Nepal. You will be escorted to Hotel Del Annapurna/Yak N Yeti. We begin this day with a morning tour of Kathmandu city, visiting the Temple of Hanuman, Dhoka Square, and The House of the Living Goddess, the Royal Palace, and the city markets. Afternoon sightseeing in Patan, city of ancient architecture and fine arts, renowned for its silver, copper and bronze work. Evening free. After breakfast, we'll tour a lot of interesting sights those include the City Palace, Victoria and Albert Museum, the Jantar Observatory. Today's highlight is our ride aboard decorated elephants to the Amber Fort. and temples was short lived and today is a haunting testament to that era. In Agra, you'll visit the famous Taj Mahal and the Agra Fort. Hotel Taj View/Shiraz hotel. Optional visit to the Taj Mahal in the early sunrise. Drive back to Delhi transfer to hotel. As our last day in India, it's time to pack, shop for last minute gifts and mementos to bring home as Reminders of a great traveling experience. This Evening enjoy Sound and light show at the Red Fort.